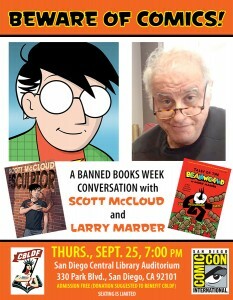 TODAY: Larry Marder and Scott McCloud Talk the Risky Business of Comics in San Diego! 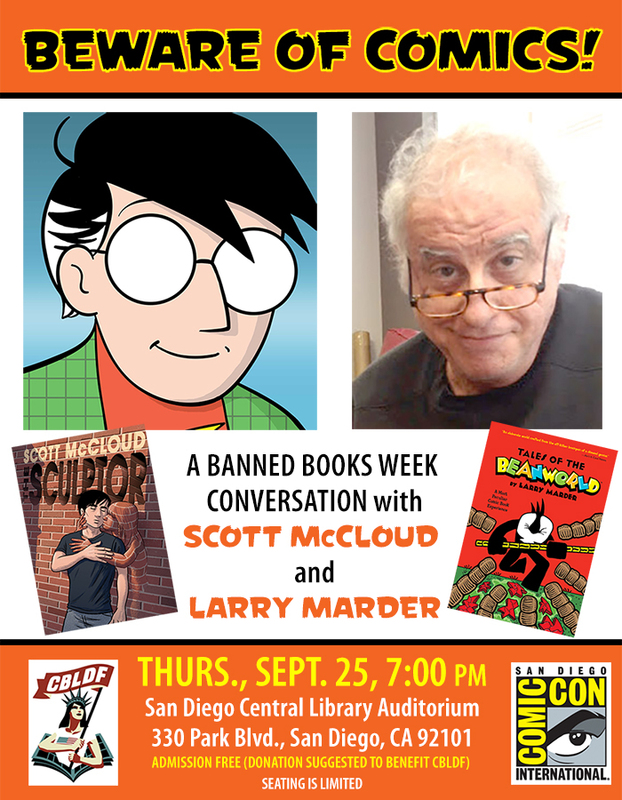 Today, CBLDF President and Beanworld creator Larry Marder joins Understanding Comics auteur Scott McCloud in San Diego for a conversation about banned comics! 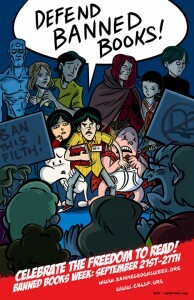 The event is co-sponsoerd by CBLDF and Comic-Con International. Several folks reached out to CBLDF to tell us about their events, and you can check them out below. Today, there are events in Georgia, Massachusetts, and Michigan, as well as a week-long fundraiser in Texas! The list that follows is far from complete — no matter where you live, you’re sure to find a Banned Books Week event nearby. 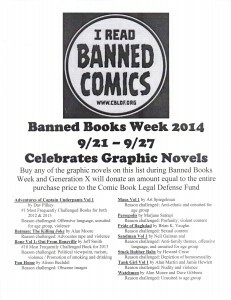 For a longer list of events organized by state, check out http://www.bannedbooksweek.org! 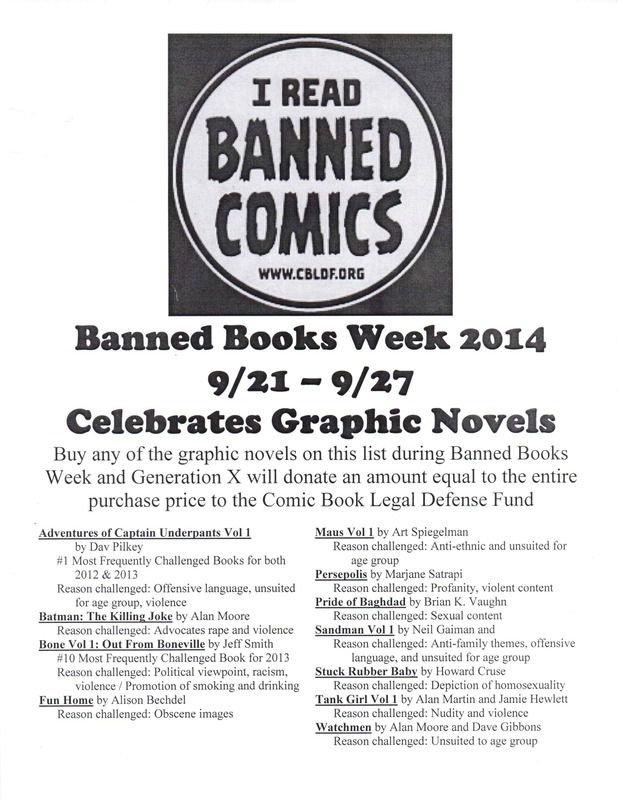 Join us for our annual Banned Books Week event on the Diag! This year we’re celebrating comics and graphic novels at the Read In. 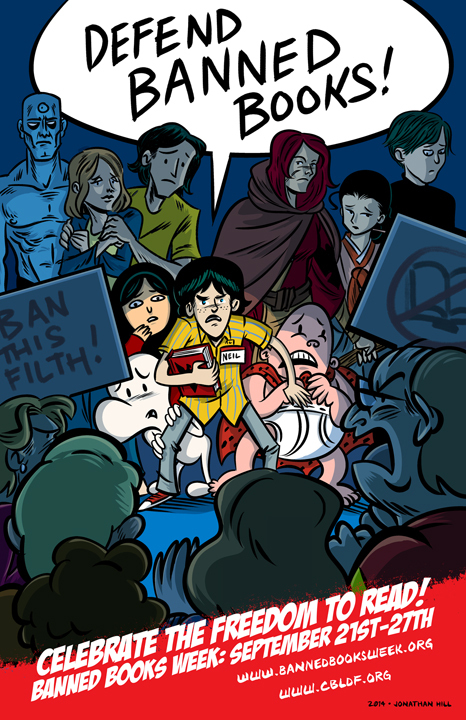 Bring a comic or graphic novel to read, learn more about the censorship of comics, and meetup with other readers. We’re focusing on visual materials this year, so note that the event will not include a Read Out or reading aloud from banned books.